A: Da Vinci’s birth date is April 15th of 1452, but in Florentine Time (which started the ‘new day’ at sunset.) By our reckoning he was born on the evening of April 14th (‘three hours into the night’ according to the biography). Then we need to account for the difference between Julian Calendar (which was used at that time) and Gregorian Calendar which we use now. 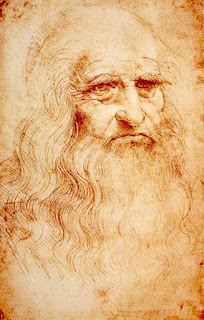 At 1452 the difference is 9 days, so this finally gives us April 23, 1452 as the birth data of Da Vinci that astrologers use – which is Taurus. Thanks Antonio! Sounds like everyone had a good time…I’m looking forward to the Newark seminar next January. The seminar with Noel Nyl was a great time with an international group of devoted astrologers. His vocational profiling method is unique. I enjoyed the concept of it.